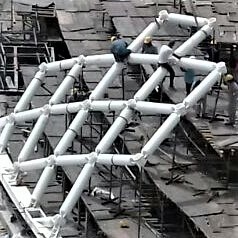 POLARKON combines its experience up to 40 years in the construction sector with 20 years of experience in steel structures and actualizes special and qualified steel structure projects that surpasses the limits both the conventional steel structures and the traditional construction systems can not approach to. 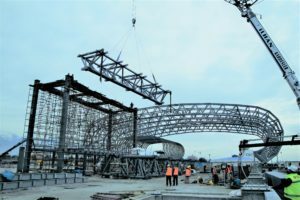 Steel structure constructions are desgined by the project group which is also a member of the company corporation that follows the "Design and Built" model. In other words, POLARKON has developed itself as an engineering company that stands apart from a simple manufacturing company for steel constructions. In this form, the firm also provides engineering consultancy as well as design, manufacturing and installation services to its clients. 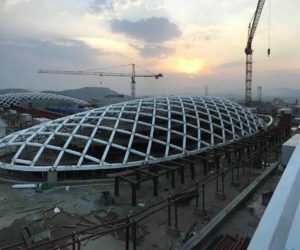 Especially in the recent times, large spans, double curvature cage shells and taut building solutions that employers and architects are demanding at high rates, have an important place in our activities within the field of steel structures. 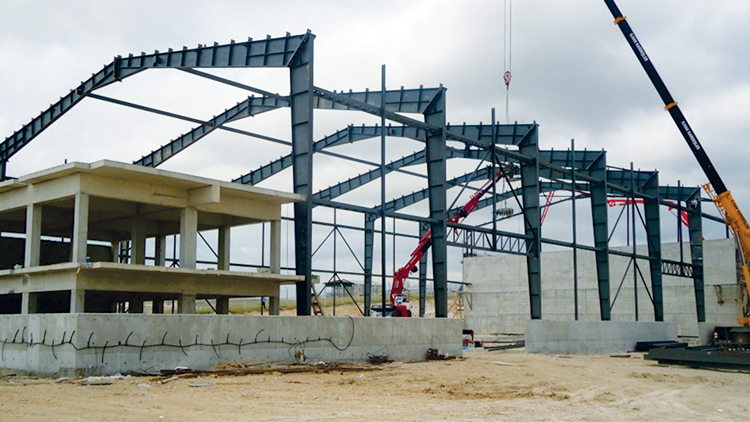 POLARKON manufactures steel structures in accordance with the national and the international standards and by applying high engineering methods and technologies. All economic criterias are considered together to determine the optimum solution. To this end, execution experience POLARKON acquired with its manufacturer identity is one of the most important factors to facilitate finding the optimum solution. Manufacturing includes the production of all parts of the system in a factory environment and includes the associated industrial quality assurances. All are made and documented in accordance with the standards and the specifications. Worksite productions and all related applications are controlled in a similar way. WHY WE PREFER STEEL STRUCTURES? 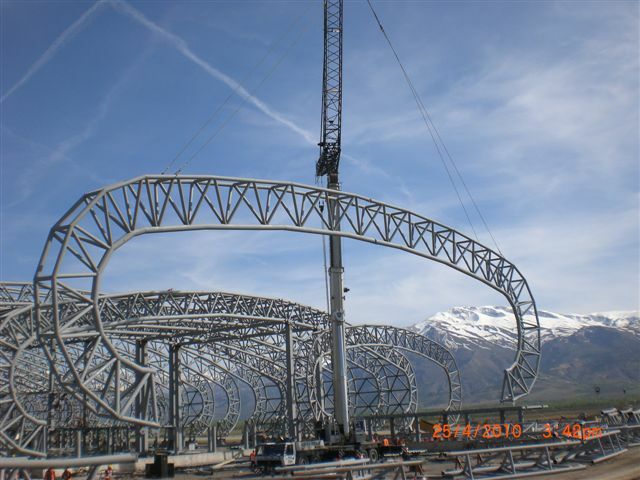 Steel structures are preferred due to the advantages they provide for the project. They are briefly explained below. Shortens the construction period by their special manufacturing. In the international literature, steel structures manufactured in factories are referred to as pre-engineered structures. These structures are designed and manufactured pre-fabricated, giving the client benefits of fast manufacturing and installation. This means the total construction period of the construction is shortened. Compared to the reinforced concrete structures, they are lighter and economic. Steel structures are designed as much lighter structurer in parallel with the density and mechanical behavior of the material. It is seen that the steel structures provide serious economic benefits to the property owners when the project is considered as a whole with all the direct and indirect benefits and gains throughout the lifetime of the structure. They are resistant to the earthquakes.Steel structures are lighter and ductile, which means a lower earthquake load transits to the construction, making earthquakes less risky and structures more secure. The architectural design is open to esthetics and creativity. Structural steel provides unlimited creative possibilities for designers as they can now be processed with digitally controlled production technologies and newly developing production tools in the factories. All components are perfectly accurate as they are designed and manufactured with extremely high precision. ÇAll steel structural components are industrially pre-fabricated. Since the tolerances are in the ranges of millimeters, the installation is smooth and perfect. They are strong and durable structures. With this feature, steel bearing structures can be without pillars, walls and with contiunally spaces. When it is necessary to create large openings, steel components become the only option even in the reinforced concrete structures, resulting in composite structures. Intermediate pillars would either be at minimum cross sections, very few or not existing. Their maintenance and repair is simple. With the right design, it is possible to strengthen, repair, replace and/or renew all visible structural components without losing anything from their function and strength. Depending on the design possibilities, horizontal and vertical extensions can be made, new floors can be added, certain elements or sections can be removed. Methods of fire protection are improved. Steel structures can become fire resistant with methods like coating with special fire resistant paints or covering steel components with concrete. The material is recyclable. Steel material scraps are collected all over the world and can be melted and reworked in rolling plants to be turned into new products.